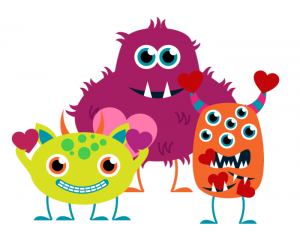 I hope everyone is staying safe and healthy, between the crazy weather and cooties it is a bit of a madhouse. Well as you can see I am a little behind the eight ball this year so far! LOL. Finishing up house renovations takes a lot of time but I am in a fun, cool new space at my house so that’s nice. Hopefully this weekend I can start getting things cleaned and moved into their correct spaces. Lots of cleaning out going on so stay tuned for fun art and interesting pieces that will be for sale on Facebook. My new house is smaller and my style has changed some, so time for clearing out, starting with my clothes and costume closets! Wishing you a healthy and happy 2018 and if there is anything I can do to help you with your skin, waxing or health, please let me know. What’s Your First Quarter Focus? Every January, I and most other people talk about New Year’s Resolutions or Goal setting and what have you. One year we even did a burning of lists of everything that didn’t serve you the year before to let it go. I don’t know about you but I end up with these huge lists of all this cool stuff I want to do or learn and then I basically get nothing done on that list. I overwhelm myself so that sometimes I just end up doing nothing. And it’s winter time — not really the time of action but more for hunkering down and resting. So I have been thinking: What is it that I could do just for the first quarter that would enrich my life but not add more stress or take a lot of time? How do you manage to still have fun and not be a complete loner? I am kind of an all-or-nothing person so balance is sometimes hard for me. 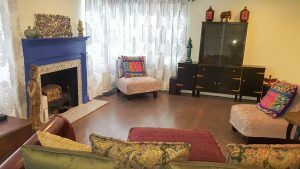 So my personal focus for the first (and maybe second) quarter of 2018 is getting my house cleared out and ready for living and entertaining come Spring/Summer. My focus for the business is going to be to work on accounting and finding a better system that works for me. It is the part of my job I like the least, mostly because I let it get out of hand. Feel free to email me or post on Raspberry Moon Facebook what your first quarter focus is going to be and how you plan to balance life. Maybe we can all help each other grow a little bit! Reminder that Satan’s Holiday…I mean Valentine’s Day is next week. I have some lovely baskets with Honey Cat Cosmetic items and they pair well with a gift certificate for an Over the Moon facial or any dollar amount. Plus I’m also offering some special packages. Is your skin suffering from this winter cold or having the heat on so that your skin feels like it is sucked dry? How about trying the Dry Skin Kit from Skin Scripts? 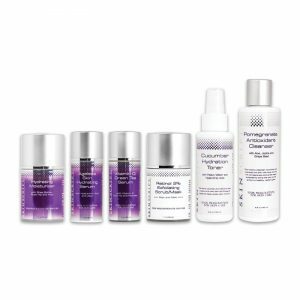 The Dry Skin Kit addresses skin that is deficient in moisture. If dry skin is ignored, the signs of aging are accelerated; skin will begin to show fine lines and skin laxity at an early age and no one wants that! 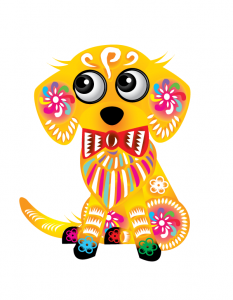 Chinese New Year – The Year of the Dog! February 16, 2018 rings in the Year of the Dog! The Year of the Dog is a good time for positive life style changes like stop smoking or maybe move or start a new business. This year might be very lonely or melancholy so you will need to work on staying in a good place. Dog years are the time to buckle down with finances and really think twice before buying something. This is sometimes a hard one for me. I can go for a long time and not spend money and then when I do, I spend too much, not all of which goes to stuff I need. Check out the link below to see what your year has in store based on your sign, but remember if you were born in January or February you have to look up the dates on Google to confirm your sign. For example, I was born in January 1973 and I am in Rat (1972) instead of an Ox. Just be sure to click on the left hand corner and chose your animal for all this year has to offer. Besame Cosmetics Lipsticks are true replicas of lipstick shades from the past. 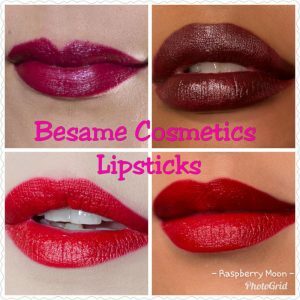 Besame owner Gabriela searches through actual vintage makeup to pick out particular colors that speak to her and truly represent the years they were produced. The lipstick is Vegan except that it does contain beeswax but it is properly sourced to promote happy bee life. For the month of February, purchase any Besame Cosmetics Lipstick and Lipliner and receive a Lip Treatment Kit FREE ($20 value). Your Lip treatment kit contains an exfoliator and a lip treatment that you can wear at night. Prep your lips for a smoother, more polished colored lip look. Did you know that we now have an online booking system? Check it out at www.RaspberryMoonST.com (click the Book Your Appointment button on the right). This system enables us to send appointment confirmations, reminders, and allows you to change your appointment. I do my best to get everyone in at their preferred times. If for any reason you are unable to make your appointment please let me know a minimum of 2 days beforehand. 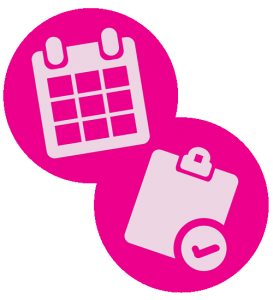 You will receive an email when you book your appointment and should also receive your appointment reminders via email 2 days beforehand. Please be sure to check your spam folder and add us to your safe list! Remember this is a courtesy reminder, not reading your emails is not a good reason for missing your appointments. If you do not show up for your appointment you will be charged the full service or if cancel with less than 24 hour notice you will be charged a $25 fee. I understand emergencies happen but we all need to respect each other’s time.